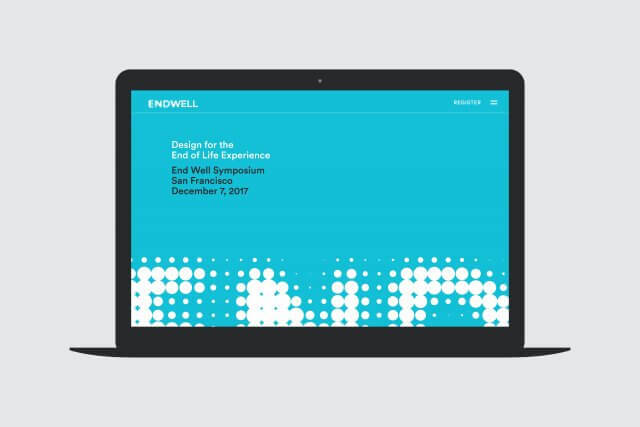 The End Well Symposium is an audacious initiative by the Ungerleider Fund and the Sutter Health CPMC Foundation. It’s a first of it’s kind gathering of design, tech, healthcare and activist communities who share the common goal of generating human-centered, interdisciplinary innovation for the end of life experience. The questions and concerns that surround of end of life care have largely stayed in the shadows. 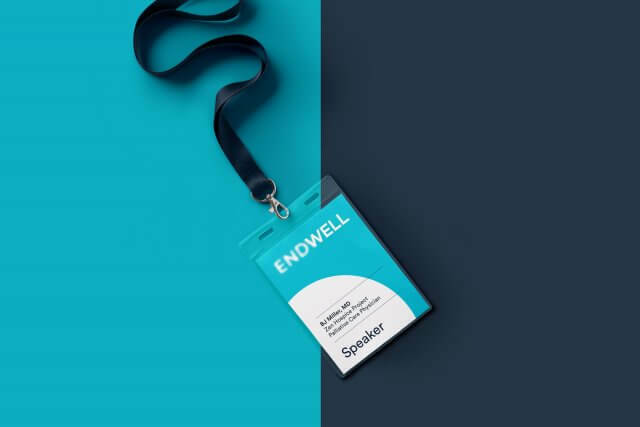 End Well seeks to peel back that taboo, and provide an open, evolving platform for experts, patients and caregivers. 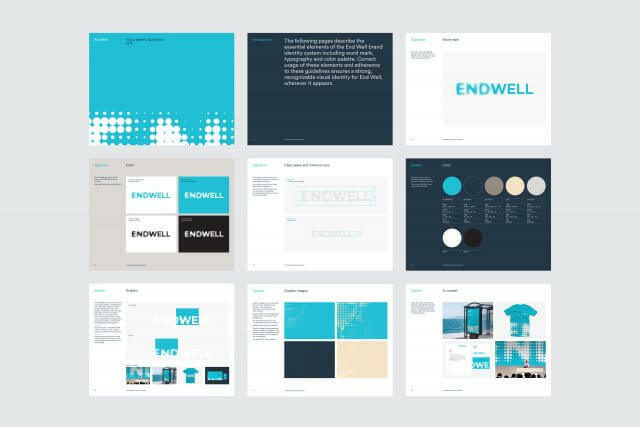 We designed the brand identity as a conscious effort to express the subject graphically, while avoiding the clinical or cloying imagery that is often associated with it. 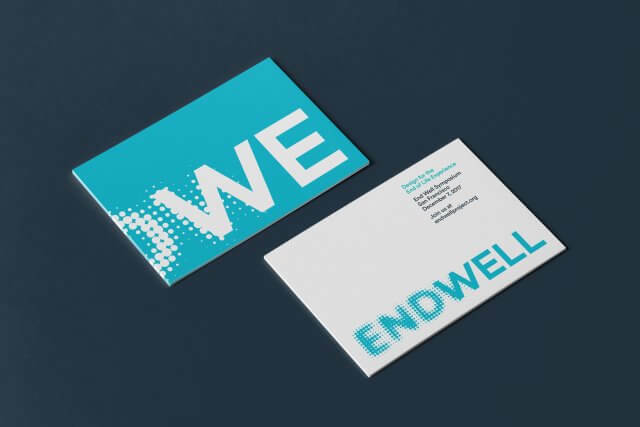 The “End” of life is a fuzzy and often confusing topic, so we expressed this by making the word somewhat ‘out of focus’, and making the end goal of hope and positivity, the word “Well”, be sharp and in focus. It was critical to establish a word mark that could brand the symposium with perennial authority, so that it could live on as a platform showcasing of the most contemporary ideas. 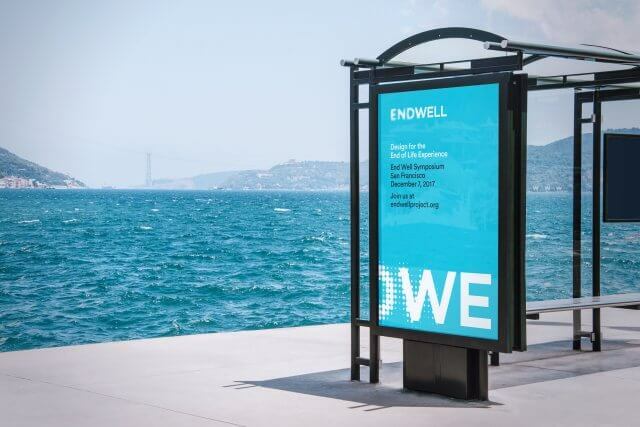 The identity was extended to all digital, print and animated collateral, and the event design itself. We believe that there is a new wave of thinking sweeping through health care — the more inventive and imaginative dialogs involve harnessing optimism and change for the betterment of patients and caregivers. We think design should reflect that spirit.